Our website (trackingshipment.net) is not affiliated with S.F. Express. Please be advised that S.F. Express - tracking service has just been added to our service, and we haven't enough time to collect a lot of information about popular questions. At the moment all results are being represented without our correction. You can ask any question about it; we will find an answer to it. We will make a FAQ in the short time. This company was founded more than twenty years ago in Shunde, Guangdong Province. Since its foundation, the company’s goal has been to provide the best express services. The customer’s needs are always of prime importance. Creating their services, the company constantly centers customer’s requirements in the first flight. During the years of its operation, the organization was working on the quality of their services, infrastructure, developing IT technologies and gradually achieving automatic operations. Year by year, the company realized the details of shipment circulations, created S.F. Express Track service, the system of resource allocation in order to guarantee the quality of services they provide. Besides, the company created one-stop supply chain solutions for various sectors like health care, e-commerce, electronic products or auto parts. Last year S.F. Express expanded its spectrum of services to all over Mainland in China. There were opened more than 13,000 service points. Furthermore, the company has more than 15,000 vehicles, delivering your packages across the country. SF owned 30 aircrafts to deliver all types of cargoes. In doing so, the company created an airline network, which covers the country. Those, who wish to control the delivery process, can make use of S.F. Express tracking service or USPS track option. Meanwhile, the company has been expanding its international spectrum of express services. Nowadays, the company caters for Malaysia, Vietnam, Mongolia, Singapore, Japan, Korea and Australia. The SF international tracking system allows customers to monitor the worldwide delivery items. As it was mentioned above, the company centers customer’s needs in the first flight. That is why the spectrum of services is classified according to the customer’s requirements. · Business Customer. This category is oriented towards the business needs of the customers. The company offers same-day delivery, next morning delivery, third day delivery, logistics cargo service, etc. This category is for those who need to deliver parcels urgently. S.F. Express track system helps clients be aware of the locality of their packages in the online mode. · E-Commerce Clients. These are value-added services like cash on delivery, pickup authorization service, delivery upon notice, special warehousing service, etc. As you see, the range of services is really very extensive and even the most demanding customers will be satisfied with the choice and the quality of services. How Can I Trace My Parcel? 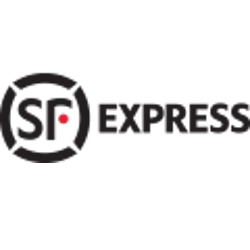 You can employ with the services of Shun Feng Express Tracking on our site – k2track.com. To do this, you need to indicate your S.F. Express tracking number and in several seconds the system will provide you with a report, containing information about the order status. Our service is available for all customers of this company at any time of the day. It deprives you from the necessity to worry about the location of your parcels.